Canada has one of the highest rates of immigration per capita in the world, with 40,000 immigrant children joining its public schools each year. Ontario, Canada’s largest province, attracts a high proportion of immigrants. 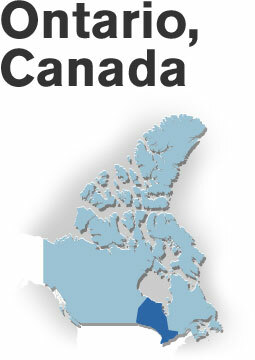 With a population of 13 million, Ontario accounts for 40% of Canada’s population. Four out of five Ontario school students are in metropolitan areas. One out of four school students in Ontario was born outside Canada. Most immigrants come from Asia and the developing world, and 80% are non-English speaking. Ontario has around 5,000 schools for some two million students. As part of the provincial government’s education reforms, a large proportion of school principals and vice-principals participate in a mentoring program. Ontario’s education reform has increased elementary literacy and numeracy, improved graduation rates and reduced the number of low-performing schools. Thanks to such policies, Canada is one of the top-performing countries in PISA and one of very few that show no gap between immigrant and native students. Within three years of arrival in Canada, immigrants score an average of 500 on the PISA exam, which is remarkably strong by international standards and well ahead of countries like the United States and France. Between 2003 and 2010, Ontario’s high school graduation rate rose from 68% to 79%. The provincial government’s target is to raise it to 85%. Ontario’s Literacy and Numeracy initiative raised the average pass rate in grade 3 provincial exams in reading, maths and writing from 55% in 2003 to 70% in 2010. The provincial government aims to raise it to 75%. Handling the education challenges facing immigrant children is one of Canada’s social and political priorities. Its large land area, low-density population and low birth rates make immigration an important and needed economic resource. Since 2003, Ontario has deliberately targeted the development of immigrant children as part of an overall drive to raise educational standards and boost its economy. The general social environment in Canada is favorable for educational success. Parents are supportive of their children’s schooling, and society is viewed as having collective responsibility for children’s educational welfare. PISA data on leisure reading habits suggests that Canadian school students are more likely than other children in the world to read daily for pleasure. Canadian multiculturalism seeks to respect the importance of native cultures while incorporating immigrants into a distinctively Canadian identity. Consequently, schools see it as their duty to incorporate immigrants into the mainstream culture as rapidly as possible. The value placed on high educational achievement for immigrant children has positive spill-over effects throughout the school system. As part of its reforms, Ontario launched a Literacy and Numeracy project to raise reading and mathematics results in elementary schools. It also launched a Student Success project to increase high school graduation rates, including a new program for high school students who were not interested in traditional academic subjects: the High Skills Major teaching practical skills that can lead to employment opportunities. One of the biggest challenges facing Ontario in its reform strategy was to win the support of teachers. This was achieved in negotiations with teacher unions through a combination of measures such as reduced class sizes, more time made available for class preparation and the creation of a “student success” position in each school, with a drive to strengthen teachers’ professional capabilities.